With these ratios, we present information concerning debt service as a percent of the education budget, as a percent of the healthcare budget , as a percent of total public service salaries, as a percent of capital expenditure, and per Inhabitant (current dollars). Also, we present interactions among the aforementioned variables and the debt service per inhabitant. 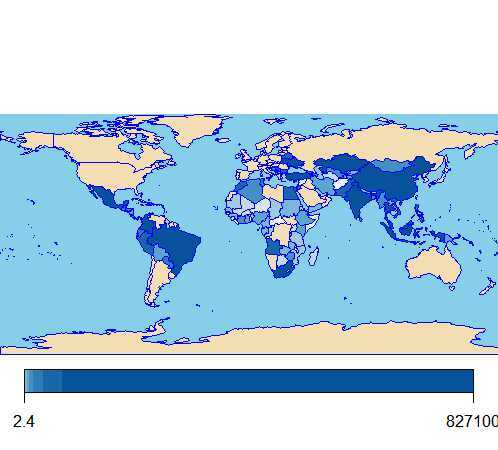 All data were compiled from the World Bank’s database, World Development Indicators 2016. For the debt service as a percent of the healthcare budget, the mean is .63 percent. As can be seen, the public spending in health is greater than in education. 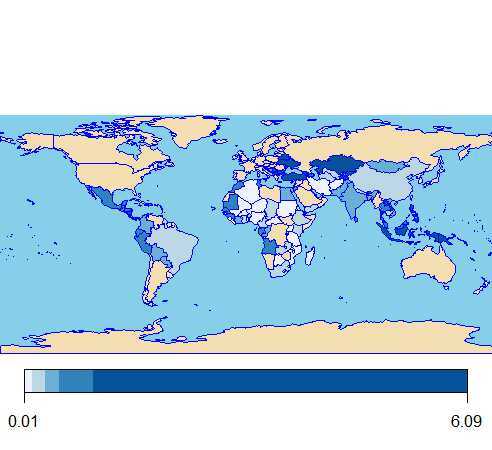 The countries that are above the mean are Armenia, Belize, Bulgaria, Fiji, Georgia, Indonesia, Jamaica, Kazakhstan, Lebanon, Macedonia, Mauritius, Papua New Guinea, Romania, Serbia, Ukraine, and Tajikistan (see Figure 2). For the ratio debt service as a percent of total public salaries, we have a few observations. 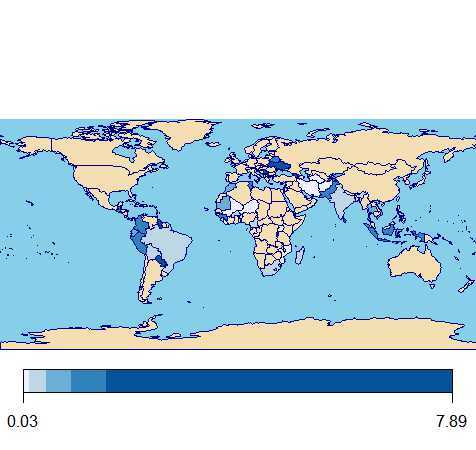 The mean of this indicator is 1 percent, with Mauritius and Samoa above the mean (see Figure 3). For the ratio debt service as a percent of capital expenditure (public gross fixed capital formation), the mean is 1 percent, being the cases above the mean Belize, Slovakia, Georgia, Honduras, Jordania, Kazakhstan, Lebanon, Macedonia, Mexico, Montenegro, Nicaragua, Paraguay, Philippines, Romania, Turkey, Ukraine, and Zimbabwe (see Figure 4). In spite of being among the biggest economies in the world, it is worth noting that in Mexico and Turkey public investment has collapsed after the neoliberalism’s arrival. 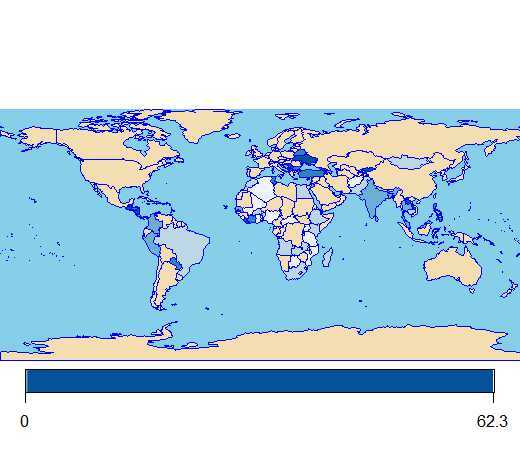 For the ratio debt service per inhabitant, the mean is 49635. Being the most indebted countries Belarus, Bulgaria, Brazil, China, Colombia, Kazakhstan, Lebanon, Mexico, Malaysia, Peru, Philippines, Pakistan, Romania, Thailand, Indonesia, India, Turkey, Ukraine, and South Africa. Specially, some Latin American countries still are ones of the most indebted countries in the world in per capita terms. 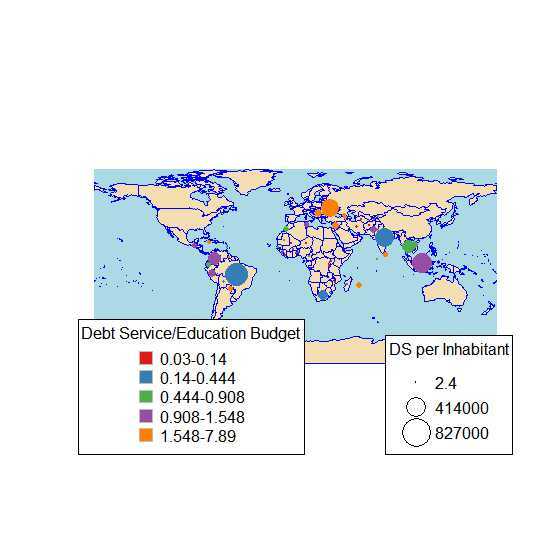 Now, we relate debt service per inhabitant and debt service as a percent of education budget. Less indebted countries do not have a heavy burden in debt service, consequently, the ratio debt service to education budget is small (see Figure 6). 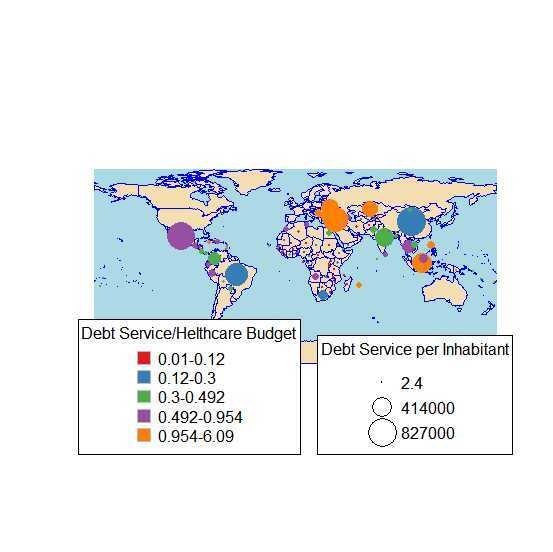 This tendency is corroborated with the following map, the relationship between debt per inhabitant and the ratio debt service to healthcare budget is presented. In general, the most indebted country spends less in healthcare or the burden in debt service is bigger (see Figure 7). The same pattern is followed by Figure 8 and 9.